PRINCETON, N.J.--(BUSINESS WIRE)--NRG Energy, Inc. (NYSE:NRG) today announced that its renewables business has broken ground on its first five community solar projects in Minnesota and reached agreements to subscribe several national business customers to its solar farms in the state. Ecolab – the global leader in water, hygiene and energy technologies and services headquartered in St. Paul, with several corporate facilities subscribing. Dodge Project in Dodge County – 6.1 MW dc (5 MW ac). All of the projects are slated for completion by early 2017. 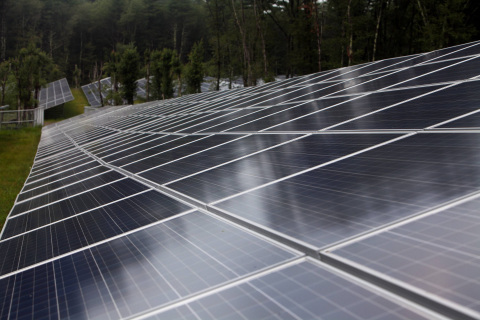 The five solar farms will serve both businesses and residential customers. How it works: Business and residential customers in Minnesota subscribe to an NRG community solar farm by signing a 25-year SSA. Electricity generated at the solar farm goes to the local utility’s grid. Customers then receive a bill credit from their utility — in this case, Xcel Energy, Inc. — for their subscribed share of the electricity produced by the community solar farm. For more information on NRG’s community solar program in Minnesota, click here.